As plastic surgery becomes increasingly popular throughout the U.S., more and more people are considering the benefits of anti-aging procedures. From minimally invasive injections like Botox to full facelift surgery, there are plenty of options – including those that fall in between, like the mid facelift. What is a mid facelift? 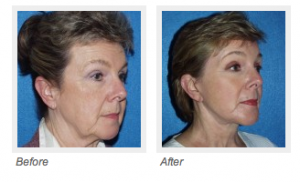 This conservative yet highly effective procedure lifts the malar (or mid) face, using small incisions to tighten the central cheek and jowls and melt years off each patient’s appearance. A board certified plastic surgeon performs the mid facelift procedure by making an incision in the lower eyelid, at the same point where one might apply eyeliner. A lower lids blepharoplasty is part of the procedure. Using this small, subtle approach, the surgeon will then lift and stabilize the entire middle portion of the face. I always say that if things naturally go north and south, don’t pull them east and west: and with the mid facelift, we adhere to this basic gravitational principle by lifting in a vertical direction for natural-looking, balanced results. After undergoing a mid facelift, patients will exhibit more prominent cheekbones and reduced creasing around the nose and outer edges of the mouth. The result is a younger, fresher appearance and toned, healthy looking facial skin – all with a few inconspicuous incisions that are easily concealed post-surgery for minimal downtime. As an experienced and board certified plastic surgeon, I have performed nearly 1,000 mid facelifts over the course of my career – all using the simple method described above, and all resulting in safe results and superior patient satisfaction. 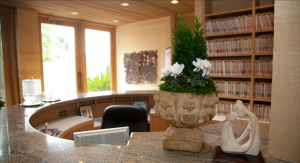 At SK Clinic, we number among the leading proponents of mid facelift surgery nationwide, and specialize in performing this increasingly popular procedure at our beautifully appointed La Jolla cosmetic surgery clinic. Whether you are interested in the mid facelift alone, or are looking to combine the dramatic effects of this procedure with a full facelift, and /or an endoscopic brow lift, cosmetic fillers, facial contouring, chin augmentation or any other options from our surgical menu, SK Clinic is an ideal destination for proven quality of service and the utmost in cutting-edge medical care. To learn more about the mid facelift, get in touch with us today to schedule a complimentary consultation with our highly trained surgical staff. Why hesitate? Start enjoying the benefits of a fresher, younger and more beautiful look today. For more information, visit us online: www.sk-clinic.com.